Please send me more information about Natchez Landing Apartments. You'll be right at home in this unique tropical Metairie, LA apartment community. 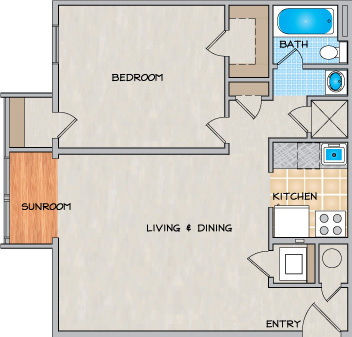 Natchez Landing boasts one and two bedroom apartments featuring your own cozy sun room, mini blinds, and multiple closets. Third floor apartments feature vaulted ceilings and skylights. Washers and dryers are also available in all apartments. If location is important to you, Natchez Landing is convenient to I-10, the Metairie Business District, New Orleans Business District, Elmwood Business Park, major hospitals, area universities, shopping and recreation. Step into an indoor rain forest setting. 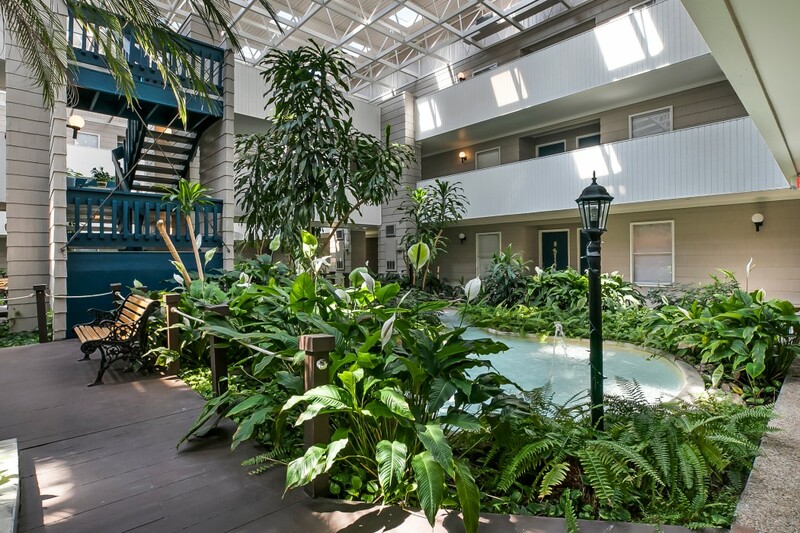 Your apartments will overlook beautiful flowing creeks and lavish greenery in an enclosed, climate-controlled atrium, or you can soak up some sun at our outdoor pool. Restricted dog breeds include any dogs which are partial, or full, Pit Bull, American Pit Bull Terrier, American Staffordshire Terrier, Staffordshire Bull Terrier, English Bull Terrier, Chow Chow, Rottweiler, Rhodesian Ridgeback, Doberman, Alaskan Malamutes, Huskies, Presa Canario, Saint Bernard, Great Dane, Akita, German Shepherd or Boxer. 1st Lake reserves the right to restrict any other breed or animal. Pets are not allowed in the Atrium buildings. 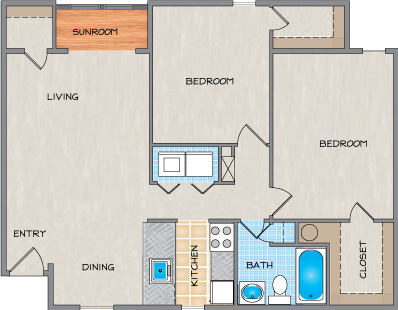 The property is nice but it is extremely hard to get in touch with the leasing office via phone. Also, the apartments are closer together than at other 1st lake properties. Maintenance issues are handled quickly and there is sufficient parking which is why I gave it 3 stars. There is no gate surrounding the property, but I have not encountered any issues with safety. I’ve lived in other 1st lake properties and I like those better. Beauty complex I have lived here for 2 years, and I absolutely love my apartment. I have never had a problem with noise or parking. a y maintenance issues I had were resolved quickly. the manager Leslie was always available to answer any questions I had. I definitely recommend this complex to my friends. Great Place to live!! I have been here for over a year and love it. The staff is very friendly and property is well kept. Maintenance issues are handled quickly. I love living at Natchez Landing. The staff is very kind and they do things right the first time. Our manager Leslie is amazing. She is friendly and easy to talk to if you are having a problem. Our complex is always clean and everyone who lives here is friendly. I don't have any complaints! I have lived in Natchez Landing for three years and I have no plans on moving in the near future. I definitely feel safe living here. The complex is always clean and the staff is friendly and courteous. Leslie, the apartment manager, is always kind and professional, and she goes out of her way to help her residents and to make the complex better. 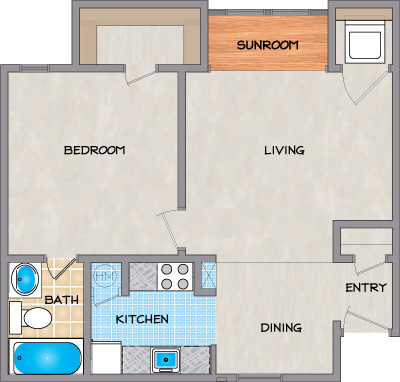 Whenever there is an issue with the apartment, which is very rare, it is always fixed correctly and promptly. Parking is never an issue here, and everyone who lives here is very friendly. Great service, great service, and even more great service! There is many great reasons to live at Natchez Landing, including the peacefully tranquil atrium that makes you feel you live in a hotel to the quiet community that you practically never hear your neighbors. None of that even stacks up to the most satisfying aspect of living at Natchez Landing, and that is Leslie, the apartment manager, and her team. This team is amazing and always on the ball providing great timely service, always being courteous and super friendly. Leslie herself, has gone past expectations to ensure that my stay here is up up to par and personally is the main reason that I still reside here. That being said there is only one negative that I must bring up. We have a beautiful bean shaped pool surrounded by a gated (and the locks work) relaxing pool setting that is well manicured and taken care of, however there is no BBQ pit to complete the atmosphere. I believe every pool setting is not complete without the ability of grilling pool side with friends and family. In conclusion, I would definitely recommend living at Natchez Landing. I Believe it is a quiet peaceful enjoyable place to live with incredible outstanding service. I have been a resident at Natchez Landing for almost 1 year now. I recommend moving into this apartment complex if you are looking for a quiet, clean and friendly place to live. Property manager, Leslie did above and beyond to work with me to get in and has always responded immediately to any concern. I love living here and intend to renew my lease soon! It has been a great experience living here. I live in Building B and the Atrium has been blessing for me. It is so peaceful and inviting!!! I love to sit out in the atrium in the evenings and just listen to the water flow and it's always clean (smells clean) with the air blowing. Such a delight!! I have one suggestion maybe to add another outdoor sitting area on the opposite side where the benches are. I am sure more people (families) would utilize the area if there was another table sitting area and not just benches. The table sitting area is very inviting and makes you want to sit there and enjoy the area. One more suggestion would be if maybe at some point 1st Lake would invest in parking cameras. On occasions there are people hanging and loitering on the property off of West Napoleon. Not sure if that is an option for the property or not, but it sure would make it feel safer and secure. My overall experience has been great!! The staff will go above and beyond to help in any way shape or form. :) Thanks for making this property a great place to live!!! I was recommended the property from another property, and I'm glad I listened! The property is beautiful and the staff is great. Casie was very helpful during the move in process. Would definitely recommend! My move in process was easy and convenient! I could even sign the lease online. So far, so good! I love my new apartment! I enjoy Natchez Landing Apartments more than any apartments I've ever lived in. It's usually VERY quiet, there's a super neat bay window in the living room, the building is always perfectly clean and the staff are GREAT: friendly, helpful. I could live here for a long time! Love it! Natchez Landing was a great place to call home. My neighbors were wonderful, the community was great, and the staff were the best I've had at an apartment community! My apartment was great for the price. I LOVE Natchez Landing Apartments more than any other apartment I've ever rented. The apartment inside and out is not only perfectly clean but utterly gorgeous. I LOVE my baywindow inside the apartment. I've purchased a few Suncatchers that are on the window enhancing this very special part of my living room. The management is always helpful, friendly, quick. The complex is private and quiet. The pool area is always perfectly clean. I have absolutely no complaints other than I wish there was a little bit more light in the living room area, i.e., a light/fan attached to the ceiling. Natchez Landing are the BEST apartments I've ever rented. They are not only perfectly clean inside and out, but they are gorgeous. I LOVE my baywindow in my living room area - I've purchased a few suncatchers that I have placed on my windows making my baywindow an absolute gorgeous section of the apartment. The area outside of my window reminds me of Yosemite with the pine trees and pine needles on the ground. The pool is always perfectly clean. The apartment overall is very private and quiet. The management has always been nice, friendly, helpful and quick. My only complaint is I wish there was more light in the living room, i.e. a light w/a ceiling fan hanging from the living room ceiling. Other than that, I plan to stay here as long as I rent an apartment - thrilled to be here.